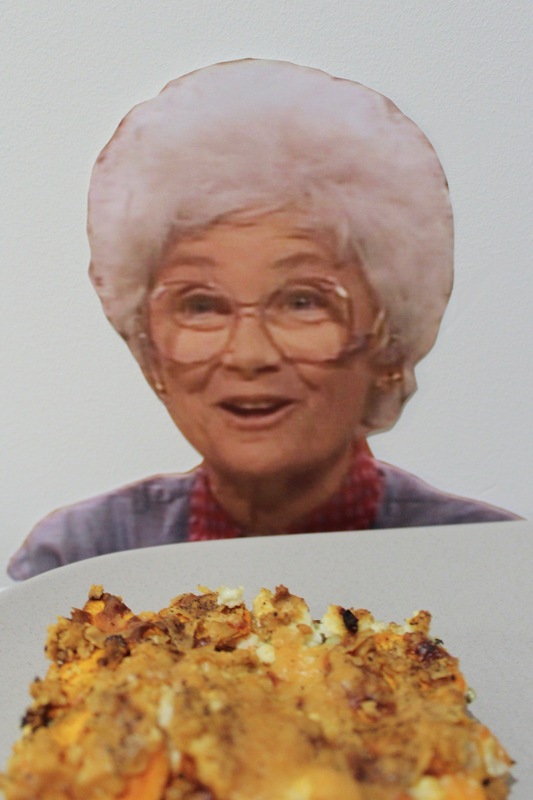 I know it is hard to pinpoint a more tragic death, particularly when it comes to your friends, but my dear, beautiful Estelle Getty’s was truly heartbreaking. I mean, I miss Bea and Rue just as much, but knowing that she truly suffered in her final years and couldn’t remember how wonderful she and The Golden Girls were will always break my heart. After Bea and I circled back to the lot after catching-up yesterday it took all my strength not to break down in tears knowing what would happen in a couple of decades. We ran into each other’s arms and held each other close, silently acknowledging the deep love of our friendship. “Pussycat!” Oh FYI, she used her pet name for me – pussycat – as her term of endearment for Dorothy on the show. I’d known Estelle for a couple of years by 1987, having met while she starred in the Torch Song Trilogy which was written about me by my ex-Harves. Our bond was instant and while we never got to spend as much time with each other as we’d like, it always felt like only days between visits. We drove to her L.A. home, laughing and catching up, despite the fact I knew exactly what she had and would be up to next. It was heartbreaking yet at the same time so wonderful to be able to spend time with her while she was still at her best. 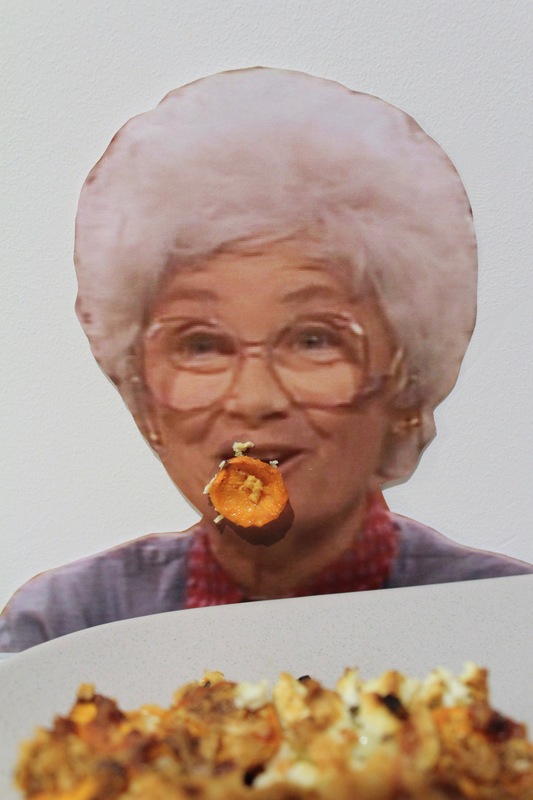 The only that made the date every better was chowing down on some Sweet Potato Estelle Galetty. Potato bake is the side dish of champions. Be it normal or sweet, there is nothing better than perfectly roasted potatoes covered in dickloads of cheese and a punch of herbs. Place the potato, shallots and a lug of olive oil in a bowl with the thyme, rosemary, nutmeg and chilli. Toast to coat. Smear – yes, smear – a lug of olive oil on the base and edges of a small baking dish. Layer the potato on the base of the dish, slightly overlapping, moving from the outside in, until covered. Sprinkle over a quarter of each of the cheeses, followed by another layer … and a quarter of the cheeses and more potato until it is all gone. Finishing, obvi, with the cheese on top. Place the galette in the oven and bake for about 45 minutes, covering with foil after half an hour if the top is getting to crispy. Remove from the oven and allow to cool for ten minutes. Then devour, ferociously.